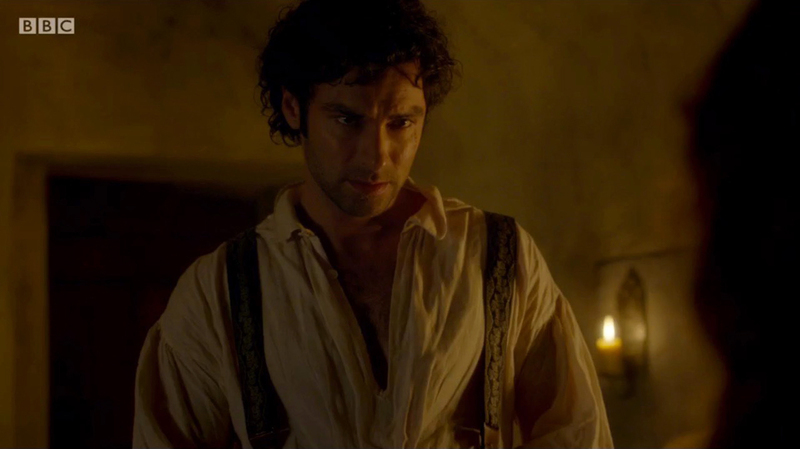 Ross Poldark is back. Season 2 now showing in the UK! It has new costume designers in Susannah Buxton and Ros Little but also carries much forward from the work of Marianne Agertoft on Season 1. Here is Ross Poldark (Aidan Turner) in his best silk braces after returning from the Bodmin assizes (S.2, Ep.2) braces that he also wore in Season 1 (though we suspect that he might have more than one pair). 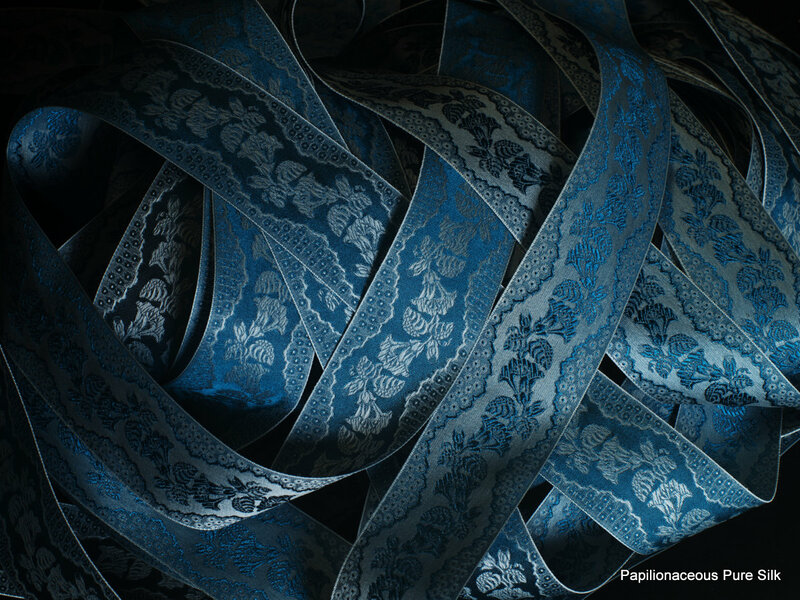 Papilionaceous silk ribbon used for Ross Poldark’s braces.